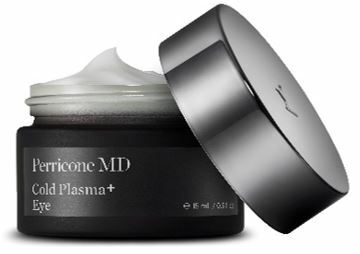 Revolutionary American beauty brand Perricone MD is renowned worldwide for its pioneering range of anti-ageing skincare – and their latest Cold Plasma+ line continues their tradition for ground-breaking research and results-focused formulations. 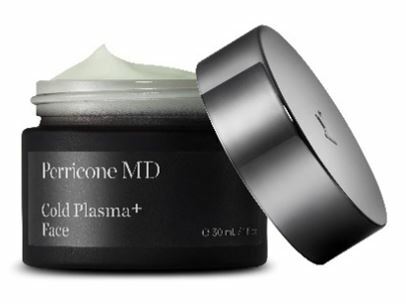 The collection features an improved version of their much-loved Cold Plasma+ Face serum, alongside a brand new addition, Cold Plasma+ Eye, which are all clinically proven to deliver noticeably smoother, firmer and rejuvenated skin. This powerhouse serum concentrate combats a myriad of complexion concerns, with a multi-tasking formula that smooths the appearance of lines, wrinkles and uneven skin texture; visibly corrects redness, discolouration and uneven skin tone; lifts and firms the skin; and transforms dullness into a renewed and refreshed radiance. In response to customer feedback, its new optimised formula is virtually fragrance-free, and boasts more efficient, highly targeted results for revitalised, renewed skin. Copper Tripeptide visibly improves skin’s firmness and elasticity. Vitamin C Ester reduces the appearance of dark spots and restores radiance. Omegas 3, 6 and 9 help to facilitate smoother, more supple skin. Tips: Apply generously every morning and evening on cleansed skin, followed by any Perricone MD moisturiser. Use before Cold Plasma+ Eye for the ultimate in effective skincare. This cutting-edge eye cream tackles the unique needs of the skin around the eye area, with powerful results noticeable both immediately and in the long-term. This rich, multi-functional formula’s benefits include correcting the appearance of dark circles, reducing puffiness, visibly lifting and firming the eye area, and smoothing the appearance of crow’s feet and wrinkles – leading to more vibrant and reawakened skin around the eye area. Copper Tripeptide reduces puffiness, enhancing skin’s firmness and elasticity. Vitamin C Ester reduces dark circles and boosts radiance. Omegas 3, 6 and 9 promote smoother, more supple skin. Tips: Use a gentle patting motion to apply around the eye contour area (avoiding direct contact with the eye itself). Apply every morning and evening after Cold Plasma+ Face, finishing your skincare routine with any Perricone MD moisturiser for optimal results.